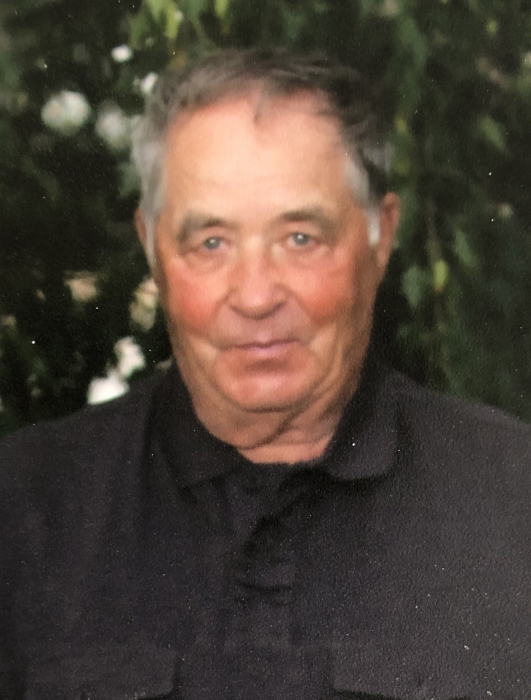 HARRY WILLIAM LENZ, our beloved husband, dad, grandpa, great-grandpa, brother, uncle, and friend passed away at the Chinook Regional Hospital on Wednesday, February 6, 2019 at the age of 80 years. Harry was born to Jacob Christian Lenz and Annie Phoebe (Wright) Lenz at the family homestead on April 4, 1938 near Wandsworth, Saskatchewan. He was sixth of eleven children. As a child, Harry regularly rode his black Shetland pony Shorty to a country school, made whistles and slingshots from willow branches, and grew up eating kniffles and the rabbits he and his siblings snared in the bush. With one small bag of possessions and a heart full of dreams, Harry left home at the age of sixteen and came to live with his big sister, Polly, and her new husband, Johnny, in Diamond City, Alberta. Harry met and married a girl who lived down the road, Emily Vrecko. On Christmas Eve he proposed to Emily on a roadside turnout half a mile from her home and they were married the following year on April 5, 1957. When their first child, Cindy, was learning how to walk, they moved to Emily's family farm during the fall of 1960 (where he continued to reside until his passing). Within ten years, they added three more children to their brood (Lisa, Lorne, and Mark). Each child grew up with the prestigious opportunity to bid their Dad's requests to, "Pull my finger", "Have a sip of my beer", or "Pull my socks off". Harry worked at various jobs, from gas attendant to taxi driver to cattle auction ringman, in order to supplement his primary job as a farmer. When Harry had free time he enjoyed attending auctions and often came home with some kind of farm implement or orphaned calves. In the spring of 1976, Harry decided to go to auction school in Lacombe, Alberta. He and Emily opened, "Harry Lenz Auction Service", which took pride in "No Sale Too Big or Too Small", in September, 1976. They recruited their children to work at the regular "Bid 'n' Buy" Tuesday night auctions (The tradition of family involvement at the auction continues.). Whenever he could fit it in, Harry's favourite pastime was fishing -- from shore, in a boat, through an ice hole while sitting in -32 degrees Celsius temperatures -- he always managed to catch fish! Family was important to Harry. He eagerly looked forward to family gatherings which included egg-cracking challenges during Easter breakfast, fighting over "the best parts" and "the pickin's" of the turkey at Christmas dinner, singing and candle blowing at birthday celebrations, sitting around a roaring fire while camping, and filling up on "sloppy" potato salad and other “good groceries” during fish fries and BBQs. These gatherings were perfect opportunities for Harry to share "When I was a little shyster ..." stories, to tease or quietly slide a joke into the conversation, and to impart advice and words of wisdom collected from his life experiences. Harry is remembered by his wife of almost 62 years, Emily, and his devoted four-legged best friend, Lil Buddy; his children Cindy Block (Tom), Lisa Lenz-Hofer (Ben), Lorne (Emma), and Mark (Susan); his grandchildren Jennifer (Rob), Nathan (Lisa), Derek, Sarah (Nathan), Amanda (Kyle), Ryan, Jeffrey, and Michael; his great-grandson Carter; and his siblings Polly (Johnny, deceased), Lenny, and Debbie (Doug); as well as numerous nieces, nephews, and their families. The family wishes to express their appreciation and gratitude to the homecare workers, nurses, pharmacists (Save-On Foods North), and doctors who accompanied Harry on his journey with cancer. He challenged his ten year battle with cancer with never-ending courage and determination. As Harry said, "Even a dying man wants to live". “I’ve had a good life.” Harry is now at peace. A Celebration of his Life will be held at 10:30 am on Friday, February 15, 2019 at MARTIN BROTHERS RIVERVIEW CHAPEL, 610 – 4 STREET SOUTH, Lethbridge, AB., Following the celebration, family and friends are invited to a lunch reception at Harry's "ol' dancin' grounds", the Diamond City Community Hall (310 Underwood Avenue, Diamond City). For those who wish, Memorial Donations may be made to the Jack Ady Cancer Centre c/o Chinook Regional Hospital Foundation, 960 - 19 Street South, Lethbridge, Alberta, T1J 1W5.